In both cases the British were eventually and humiliatingly bailed out by the US army. In this thoughtful and compellingly readable book, Frank Ledwidge examines the British involvement in Iraq and Afghanistan, asking how and why it went so wrong. With the aid of copious research, interviews with senior officers, and his own personal experiences, he looks in detail at the failures of strategic thinking and culture that led to defeat in Britain's latest "small wars." This is an eye-opening analysis of the causes of military failure, and its enormous costs. In this follow-up to his much-praised book Losing Small Wars: British Military Failure in Iraq and Afghanistan, Frank Ledwidge argues that Britain has paid a heavy cost – both financially and in human terms – for its involvement in the Afghanistan war. Ledwidge calculates the high price paid by British soldiers and their families, taxpayers in the United Kingdom, and, most importantly, Afghan citizens, highlighting the thousands of deaths and injuries, the enormous amount of money spent bolstering a corrupt Afghan government, and the long-term damage done to the British military’s international reputation. 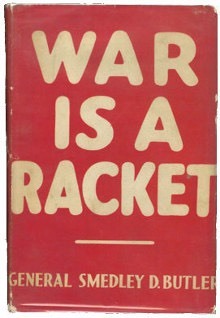 In this hard-hitting exposé, based on interviews, rigorous on-the-ground research, and official information obtained through the Freedom of Information Act, Ledwidge demonstrates the folly of Britain’s extended participation in an unwinnable war. Arguing that the only true beneficiaries of the conflict are development consultants, international arms dealers, and Afghan drug kingpins, he provides a powerful, eye-opening, and often heartbreaking account of military adventurism gone horribly wrong. In this powerful and shocking exposé from the front lines in Helmand province, leading journalist and documentary-maker Ben Anderson (HBO, Panorama, and Dispatches) shows just how bad it has got. Detailing battles that last for days, only to be fought again weeks later, Anderson witnesses IED explosions and sniper fire, amid disturbing incompetence and corruption among the Afghan army and police. Also revealing the daily struggle to win over the long-suffering local population, who often express open support for the Taliban, No Worse Enemy is a heartbreaking insight into the chaos at the heart of the region. Oscillations in opium poppy production in Afghanistan have long been associated with how the state was perceived, such as after the Taliban imposed a cultivation ban in 2000-1.The international community's subsequent attempts to regulate opium poppy became intimately linked with its own state-building project, and rising levels of cultivation were cited as evidence of failure by those international donors who spearheaded development in poppy-growing provinces like Helmand, Nangarhar and Kandahar.Mansfield's book examines why drug control - particularly opium bans - have been imposed in Afghanistan; he documents the actors involved; and he scrutinises how prohibition served divergent and competing interests. Drawing on almost two decades of fieldwork in rural areas, he explains how these bans affected farming communities, and how prohibition endured in some areas while in others opium production bans undermined livelihoods and destabilised the political order, fuelling violence and rural rebellion.Above all this book challenges how we have come to understand political power in rural Afghanistan. Far from being the passive recipients of violence by state and non-state actors, Mansfield highlights the role that rural communities have played in shaping the political terrain, including establishing the conditions under which they could persist with opium production. The definitive account of the history of the Taliban and its uncertain future. This is the book that Tony Blair and Alistair Campbell consulted to gain a better impression of the unique circumstances of the Taliban. 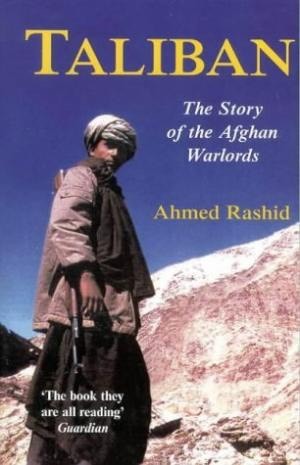 An exploration of the overwhelming complexity of Afghan politics, The Taliban: The Story of the Afghan Warlords explains how it came in to being, how it is sustained and how Osama bin Laden has risen to such a figure of absolute power. Ahmed Rashid clarifies the often confusing racial and religious tensions that dominate this fractious land. And describes why the drug trade has exacerbated an already untenable situation. Rashid argues that Taliban is incapable of reform, and that, in the current crisis, it may implode due to defections. With the Northern Alliance an unpredictable alternative, Rashid concludes that without a multi-tribal government in which bordering states do not seek predominant influence, there will never be peace.